The web design industry is always changing and as a designer, you need to stay ahead of the pack with emerging technologies. In as much as you may be working on clients’ or personal projects, it’s important to devote time for educating yourself on current and emerging technologies that can impact the future of web design. There is no better place to learn about cutting-edge design and development technologies than at the leading web design websites. Apart from the knowledge you will gain, there are opportunities to network and connect with other designers and even get new clients. Spending time on these websites provides double benefits of learning new technologies and getting new clients. 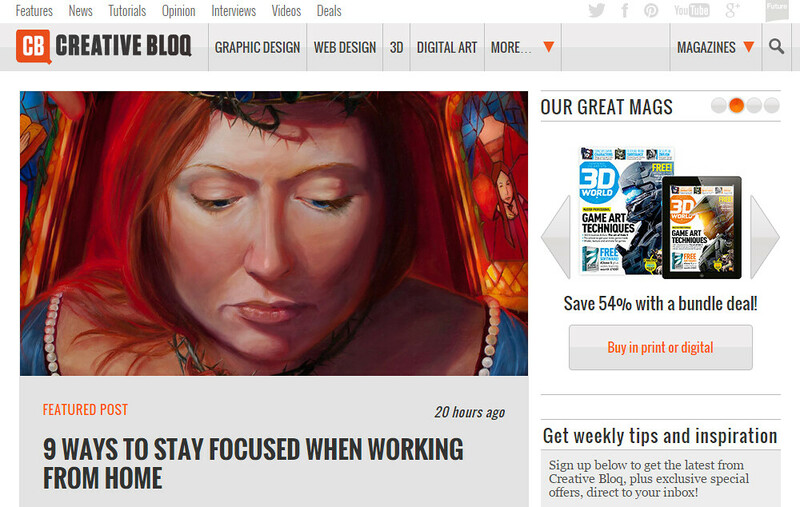 Creative Bloq aims to be the No.1 resource for graphics, web and 3D designers. The blog features nearly everything you should know about web design. The major sections on this website comprise tutorials, videos and interviews. If you are into creative content, you will get your fill at the Creative Bloq. 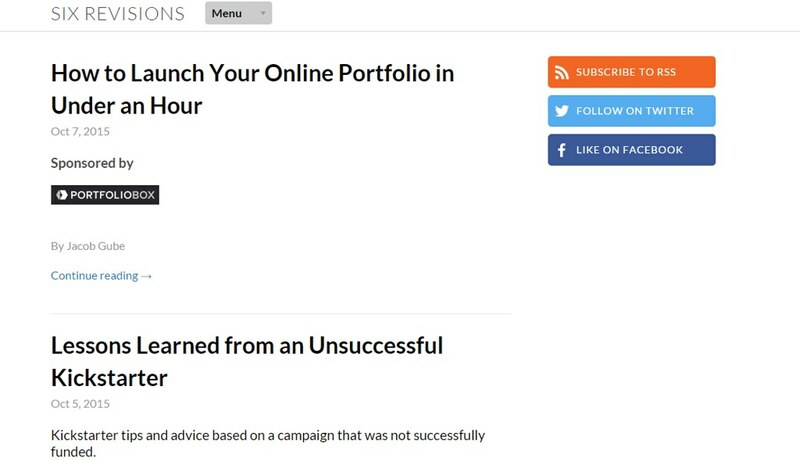 Smashing Magazine is to designers is what Forbes is to Entrepreneurs. This web design blog covers news and views on the latest trends of web design and development. The folks at Smashing Magazine bring fresh new approach on the topics like web design, ux, typography and WordPress. If being a web designer, you are not following this impeccable library of resource, do it now. Design Shack is a great blog to look for web design inspiration and ideas. This blog also provides cool tools and assets you can use to speed up production. Most topics on the blog are related to graphics and web design. The freebies provided range from icons to themes, while the inspirational content spans a variety of design topics. Noupe aims to be a leading resource for all things design. The blog covers topics such as advertising, typography, graphics, web design, Ajax, CSS and others with a focus on stylish design. Noupe provides unconventional inspiration and ideas on UX design and is regularly updated with unique content. Overall, it’s a great website for out of the box design inspiration. 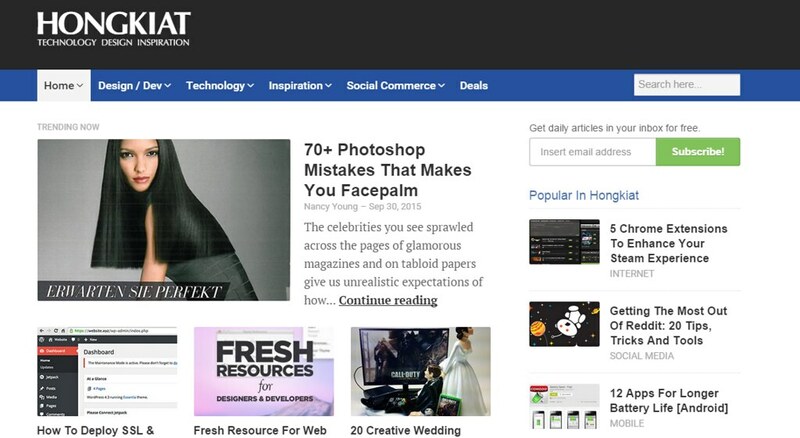 Hongkiat caters more to freelance designers by covering all topics related to running a freelance design business. The website provides tutorials on topics such as Photoshop, UX, CSS, social media, WordPress and so on. Apart from this, there are loads of curated tools ranging from productivity to invoicing as well as marketing tips for freelance writers and designers. Web Design Depot is the work of Canadian-based web designer Walter Apai. 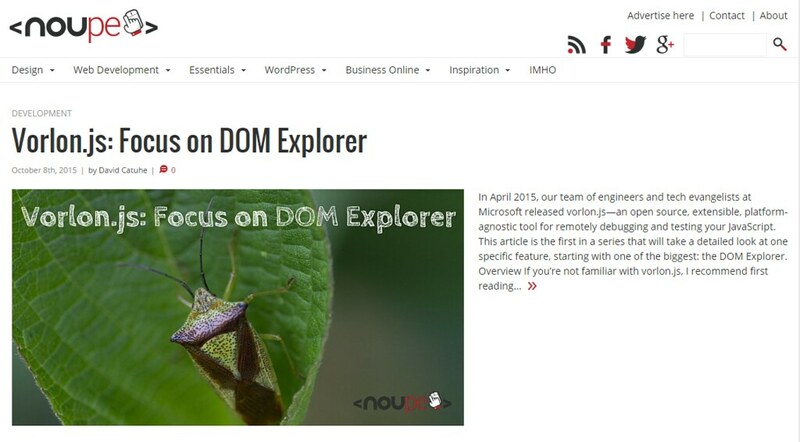 This site covers various design topics with the major categories being news, tutorials, web dev, jQuery, HTML5 and CSS. There is also a ton of curated inspirational items that will get your creative juices flowing. This is a must-read blog for all graphic and web designers. 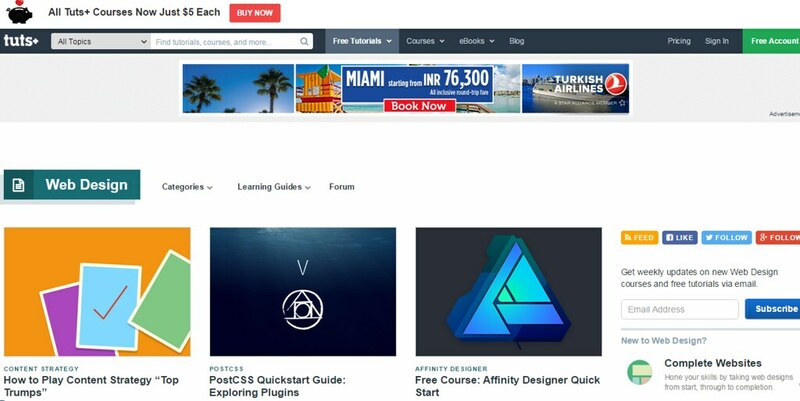 While not entirely a website on its own, the Web Design Tuts+ channel is one of the most popular among the TutsPlus.com channels. This channel has a massive catalogue of tutorials covering topics such as Photoshop, HTML & CSS, Site Elements, Workflow, Design Theory and much more. This is your go-to place for tutorials on web development. On the Net since 2008, Six Revisions is one of the original resources for website graphic designers and developers. You can speed up your creative works thanks to the huge amount of resources on the blog. 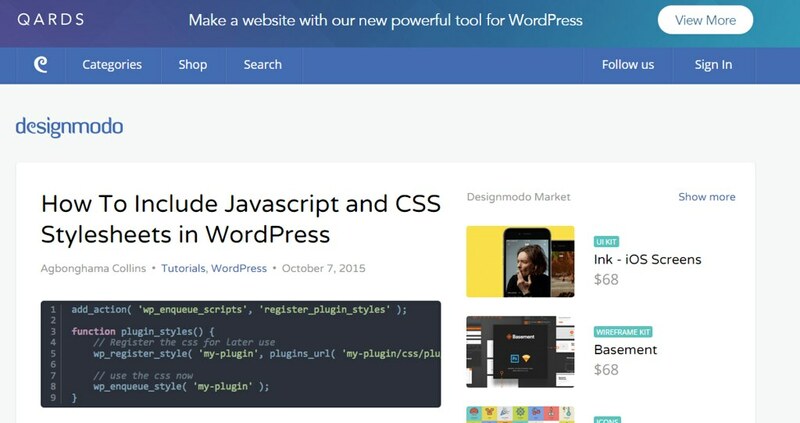 Among the popular resources include icons, newsletter templates, fonts, and website themes. Apart from the quality freebies, check the updated tutorials on everything new about web design. Design Modo is an all-in-one graphics and web design blog that covers a wide range of topics every designer should know. Whether you are getting started with design or are an expert, there is something for you on this blog. Visit for updated articles on the latest WordPress design standards as well as topics on apps, user onboarding and marketing for design. Overall, this is a must visit resource blog whether you are a freelance web designer or work in an agency. Above were the top 9 web design blogs you must follow in 2016. We will keep adding more to this resource. In the meanwhile, you can drop your comments as to which is your favorite web design blog as of now and why?